Is the MacBook Air Doomed? Apple touch Netbook Due in October for $800? 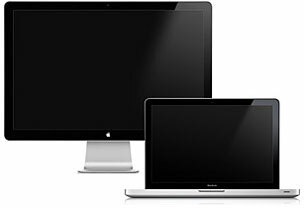 Veteran Apple critic and curmudgeon John C. Dvorak says "it was a somber day for the Dvorak family recently when my son switched to the Mac, likely never to return to the PC. I saw this coming. The family flag is flying at half mast," but concedes that if he was going to buy a new laptop this minute, a MacBook Pro is probably what he'd get, too. Interestingly, in this instance the tipping point was the superb Mac-only information manager/desktop database (and much else besides) DEVONthink, which John's son needs for a book he's writing, and which Dvorak senior says is about as close to a killer Apple app as anything he's seen since VisiCalc in the late '70s. Computerworld's Seth Weintraub predicts that SD Card slots should be arriving on the MacBook Air and the regular MacBook in their next updates, and it might replace the DVD drive on the next MacBook. "What would you rather have on your laptop?," Weintraub asks: "An easily rewritable 32 GB SD card the size of a postage stamp that can hold about the same amount of data as 8 DVDs or a big spinning disk that can scratch easily and takes up about 1/4th of the internal usable area in your laptop?" "It is a no-brainer," declaims Weintraub, "optical is over." "Computerworld recently published an article suggesting that Apple's decision to add an SD card slot to the MacBook and MacBook Pro range was the beginning of the end for the optical drive in Apple's laptop range. I strongly disagree however. I don't think the optical drive is going anywhere anytime soon." "It has been about a month since Apple announced its new line of Mac Book Pros. This new line was supposed to dove-tail in nicely with the release of Snow Leopard and usher in a new era of Mac Book dominance. "Well there is trouble in Mac land. It seems that some of the trouble that existed with the last line of MacBooks is following the new ones too. "This trouble is all about the colors man. You see Apple says that its new MacBooks have support for Millions of Colors this is great right? Well you see it is not all good. Apple uses 6-bit panels as such they are really only capable of supporting 262 thousand colors." MacNN reports that some owners of Apple's latest MacBook Pros equipped with 7200 RPM hard drives are reporting strange clicking and beeping noises along with performance issues - the cause of the problem as yet unclear, with attempted workarounds suggested to some users by Apple Support failing to resolve the issue and some suggesting that it is caused by an incompatibility between the Seagate's G-Force protection system and MacBook hardware. The article also cites a staffer at Other World Computing, which resells many brands of hard disks, suggesting that the issue may be with Seagate's Momentus 7200.4 G-Force hard drives, which in the case of MacBook Pros may be creating a conflict, and noting that the proprietary Seagate G-Force technology is essentially irrelevant on Macs, since the computers already have built-in Sudden Motion Sensor technology. Macworld's Rob Griffiths reports that recently-released Firefox 3.5 supports multitouch gestures on newer Mac laptops, at least if you believe the Firefox features page, but these gestures don't seem to be documented in detail anywhere on the Firefox website and there's no apparent documentation on which gestures do what. In order to spare you experimentation, Griffiths outlines the preprogrammed Firefox gestures and explains how to activate gestures to support switching between tabs. "What Apple fan of small-and-light computing doesn't remember that Macworld Expo Keynote . . . where, uncovering Apple's then-latest laptop and holding it aloft, Steve Jobs declared it 'the smallest full-featured notebook in the world.'" "Two years and change later, it was canceled. "That would be the 12" PowerBook G4 of 2003 that met its demise in 2005* but what happened then seems eerily familiar in 2009. Since the manila-envelope unveiling at Macworld Expo 2008, the MacBook Air has gotten less Apple Event love than the time it takes Yael Naïm to sing 'New Soul.'" "...that seeming indifference to the Air that led me to ponder the history of the smallest PowerBook in relation to the fate of the thinnest MacBook." Link: Is the MacBook Air Doomed? "There is a big, unfilled hole in Apple's OS X product line of portable devices. At the low end is the iPod touch (to a lesser extent, the iPhone). At the high end is the MacBook Pro. Between the two is a lonely, aging, white polycarbonate MacBook. What's missing? What would fill the obvious gap? A new MacBook? A Mac netbook? Or, something else? Something different? An iPad?" "Most of the rumors suggest that the tablet will be around $800.00 . . . Look for subsidies in the $200.00 range, bringing the device to a very marketable $599.00." "Rumors of a touchscreen Apple netbook gained fuel on Monday with a claim by China's InfoTimes that supposedly confirms launch details. Backing earlier claims, the site says the system will use a 9.7-inch touchscreen supplied by Wintek and is due to ship in October...."
Link: Apple touch Netbook Due in October for $800? "Reports surfaced today that Apple will launch an $800 tablet computer in October. But we've dug out something interesting ourselves: the processor chip for the tablet is being designed by Apple's own internal chip team. "Apple acquired PA Semi in April, 2008 for $278 million. It never said what it planned to do with the chip design firm...."
"The Apple rumor mill kicked into high gear again Monday regarding the much discussed, yet still mythical Apple tablet. But a significant new piece of information emerged. "But October is very soon. Reports from Apple analyst Gene Munster, beginning in May, have repeatedly pinpointed a tablet launch in early 2010." Tech Radar says that while the mid-2009 unibody MacBook Pros are an incremental upgrade, they also represent a huge increase in value for the money, with new features and benefits that were introduced back in January for the top-of-the-range 17-inch model have filtering down throughout the MacBook Pro range, which also now includes the newly promoted 13-inch unibody MacBook. Yet prices have also gone down. Tech Republic's Erik Eckel says that Apple's new 13.3" MacBook Pro laptop sets new standards for industry design and performance in a mobile PC with its integrated gigabit Ethernet, wireless-N networking, potent graphics capability and a highly secure native OS, and declares unequivocally that the 13-inch MBP is the best pound-for-pound laptop available - "a dynamic workhorse that can meet the demanding and varied computing needs of everyone from traveling sales executives to graphic artists." "When it comes to Apple laptops, what's in a name? More specifically, what does adding the 'Pro' moniker to Apple's 13-in. MacBook mean? "The 13-in. MacBook Pro is the spiritual successor to the 12-in. PowerBook G4, which was discontinued three years ago when the company moved to Intel processors...."
Windows For Devices reports that Sprint is offering a netbook for the friendly price of 99¢ to customers who sign up for two years of data service. The computer is a Compaq Mini 110c-1040DX sold via Best Buy stores, also claimed to be available to AT&T and Verizon customers for $200. TG Daily's Carmi Levy observes that netbooks are the new cellphones - or at least that's what wireless carriers want you to believe, and are now offering them at ridiculously cheap subsidized upfront prices in exchange for a two-year service contract commitment. "We'd do well to be cynical," says Levy - citing the old and accurate truism that there's no such thing as a free lunch, and these purported "bargains" could cost you well into four-figure territory by the time your contract is up. Consumer Reports warns that mini-note laptops sold at subsidized prices - or even virtually "free" - in exchange for signing a two-year service contract may not be the good deal they purport to be. CU examined the netbook deals offered by AT&T and notes that although you pay up to $250 less up front than you would for a straight purchase of the netbook, you're obliged to sign up for either a $40- or $60-a-month AT&T data plan, which adds up to $960 or $1,440 respectively over the two-year contract period, and the $40 AT&T plan's data limit is a measly 200 MB a month, after which the meter will be running to the tune of 10¢ per megabyte. You'll be locked in with that carrier even after the initial two years, because the SIM card enabling your netbook to access the Internet via the company's data network is locked to that carrier (although WiFi access is unrestricted). PR: DisplaySearch expects shipments of almost 33 million mini-notes (netbooks) in 2009 as penetration of these products into the notebook PC market grows to 20% worldwide, according to its Quarterly Notebook PC Shipment and Forecast Report. At the same time, DisplaySearch expects the market for traditional notebooks (those with displays 12.1 and larger) to be flat Y/Y for the first time (see Table 1). In emerging markets like Latin America, the low prices of mini-notes offer a more affordable product. In 2008, 45% of all mini-notes were shipped into EMEA markets. While this figure is forecast to drop to 40% in 2009, this share is well in excess of the region's total share of the notebook PC market. In many regions, telecom providers have been offering subsidized mini-notes for several quarters, which helped propel growth. In North America, the three largest telecom providers (AT&T, Sprint and Verizon) are aggressively marketing mini-notes. As smart phone penetration continues to increase in North America (and a number of other regions), it will become increasingly necessary for telecoms to find their next revenue stream as the incremental revenue increase from smart phone subscribers slows. Penetration of mini-notes is one of the primary factors behind DisplaySearch's expectations of flat Y/Y demand for notebook PCs. The other factor is a dramatic reduction in demand from enterprise customers. Businesses responded quickly to the economic downturn by cutting purchasing, especially of expensive IT-related products. DisplaySearch believes that there is significant pent-up demand in the B2B market as many enterprises did not upgrade from Windows XP to Vista. The launch of Windows 7 in late October this year, if combined with economic recovery, could lead to a rapid recovery in enterprise notebook PC demand; however, DisplaySearch does not expect this to occur until 2010. In its Q2 09 Quarterly Notebook PC Shipment and Forecast Report, DisplaySearch analyzes the breadth and depth of mini-note and notebook PCs demand in the major geographic regions, and identifies the key variables influencing changing demand patterns in these markets. Mini-notes are forecast to continue to be a significant portion of the market. However, as display sizes of these devices have quickly moved from 7.0 to 8.9 to 10.1 , and now with the emergence of 11.6 and 12.0 mini-note products, it is clear that buyers want a lightweight device, but that they also want a bigger display. While these devices have certainly created a new market, our research indicates that they are predominantly used as secondary PCs by consumers, and are not replacing notebooks, said John F. Jacobs, Director of Notebook Market Research and author of the report. The DisplaySearch Quarterly Notebook PC Shipment and Forecast Report is a comprehensive and exclusive compilation of market data from DisplaySearch's industry sources, along with insightful analysis of the state of the notebook PC industry. DisplaySearch, an NPD Group Company, has a core team of 57 employees, located in Europe, North America and Asia, who produce a valued suite of FPD-related market forecasts, technology assessments, surveys, studies and analyses. PR: ClearCal Anti-Glare Film for Glossy Displays Significantly reduces glare on glossy glass displays. Easy to apply and remove - leaves no residue. Blemish-healing adhesive layer conceals existing abrasions and scratches. MacBook Pro display with and without RadTech ClearCal Anti-Glare Film. ClearCal AG (anti-glare) films greatly improve the viewability of glossy glass displays when used in brightly lit or outdoor environments. ClearCal films combine a tempered 2-mil matte finished, antireflection layer, permanently laminated to a 3-mil flexible transparent base. A blemish-healing siliconized adhesive provides an optically-correct, yet easily removable bond that conceals existing surface defects like abrasions and scratches. The siliconized adhesive is permanently bonded to the base layer and will never leave any residue behind if later removed. ClearCal's tempered, optically-correct surface resists scratches and abrasions and is easy to clean. In addition to glare reduction, ClearCal provides a level of impact protection and minimizes the appearance of oils or streaking if the display is touched. Detailed, illustrated instructions included - installation video downloadable. PR: Other World Computing (OWC) announces that it has completed its series of free, step-by-step online installation videos for all available upgrades for MacBook and MacBook Pro machines. Now owners of the earliest 2006 models to the latest 2009 "Unibody" machines can upgrade memory, hard drive and/or optical drive components in as little as 10 minutes for greater performance over factory configurations. The OWC series of free online upgrade installation videos for MacBook and MacBook Pro models are rated from an "Easy" to "Straightforward" level and can be performed at home as quickly as an estimated 10-minute installation time. The complete series of installation videos for MacBook and MacBook Pros, as well as videos for Mac tower, desktop, and iPod battery installs is available. "One of OWC's founding principles is to maximize the usefulness of existing resources. Whether a customer has a legacy Mac or the latest machine, these videos are an invaluable resource for getting greater performance from their Mac and/or extending its useful life," said Larry O'Connor, CEO, OWC. "With the typical service center charging upwards of $80 for an easy memory install, MacBook and MacBook Pro owners can save both time and money by utilizing this free resource." OWC Memory Upgrade Kits priced starting at $29.79 are available up to 8 GB for MacBook and MacBook Pro models and are backed with a Money Back Guarantee and OWC's Lifetime Advance Replacement Warranty. Additional money savings are also available through OWC's Rebate program, which provides $5.00 Cash Back per 1 GB Apple Factory Standard memory module. Upgrading the internal hard drive can also make MacBook and MacBook Pro machines faster. Prices start at $64.99 for a 250 GB 7200 RPM drive, with the most popular upgrades including a 320 GB 7200 RPM drive priced at $84.99 and a 500 GB 7200 RPM drive priced at $149.99. In addition, MacBook and MacBook Pro owners that purchase a new hard drive from OWC also enjoy the benefit of keeping their existing drive, which can be used as a temporary backup drive, converted into an external storage solution, or sent to OWC for a cash back trade-in. PR: The Seagate Momentus 7200.4 drive is claimed to deliver the highest available laptop hard drive capacity, satisfying the need for desktop performance in a notebook computer. All this without sacrificing battery life, because these new 7200 RPM drives draw only slightly more power than a 5400 RPM laptop drive. Seagate 7200 RPM drives can shut your system down 34 percent faster, and opening big files can be up to 30 seconds faster than a 5400 RPM drive can manage. The Seagate Momentus 7200 RPM family comes with optional G-Force Protection technology for hard-core road warriors or even aspiring warriors in need of extra robustness. The G-Force Protection feature provides enhanced data protection against shock that may occur while the drive is operating. This feature is designed to decrease the likelihood of data loss by detecting a freefall event and unloading the actuator before a shock takes place in falls of greater than 8 inches (nominal). The drive uses a drop sensor mounted on the printed circuit board assembly to sense this event and protect your data. (Editor's note: for Mac users it may be best to order without the G-Force Protection option, since Apple laptops already have Sudden Motion Sensor technology built-in, and there are reports of possible conflicts). Available in capacities up to 500 GB with 16 MB of cache and a SATA 3Gb/s NCQ interface, the Momentus 7200.4 laptop hard drive is ideal for mainstream and performance laptops, workstations, small form factor desktop systems, industrial applications and non-mission-critical blade servers. Optional G-Force Protection feature adds another layer of robustness for road warriors. Momentus 7200.4 Industry-leading 7200 RPM performance meets extreme green low power consumption levels. PR: Strengthening its line up of portable 1.8" hard drives for external storage markets, Samsung Electronics Co., Ltd. today announced its 250 Gigabyte (GB) 1.8 inch hard disk drive, the Spinpoint N3U which incorporates a native USB controller on its printed circuit board. This optimized design results in a smaller foot print, less power consumption and optimized performance, which is ideal for portable external storage devices. The Spinpoint N3U stores up to 125 Gigabytes per platter for a total 250 GB data storage capacity. Most external hard drives require the addition of a bridge circuit board to convert the hard drive's PATA interface into a USB interface. Samsung's N3U drive, however, uses a native USB interface and as such does not require this bridge board. Note: this drive won't work in the MacBook Air because the Air requires a SATA interface. "The new high-capacity 1.8" 250 GB drive enhances Samsung's product offerings and is ideal for consumers who require a small form factor, high capacity data storage," said Choel-Hee Lee, vice president of marketing Storage System Division, Samsung Electronics. "It is easy to carry around and it is designed to withstand a free fall drop of up to 50 centimeters and be resistant to a maximum shock incident of up to 1500G." As a native USB interface device, the Spinpoint N3U eliminates possible points of failure due to loose cable connections and optimizes performance by eliminating the interrupt service time for the bridge board to convert PATA to USB signals. And the N3U 1.8" drive also consumes about 40 percent less power than a 2.5" hard drive of an equivalent capacity. Samsung now ships industry leading areal density levels for all of its hard disk form factor products with up to 1.5 Terabyte for 3.5" drives, 500 GB for 2.5" drives and 250 GB for 1.8" drives. The Spinpoint N3U comes in 120-, 160-, 200- and 250-GB capacities, the disk rotation speed is 3600 rpm, and it supports a USB 2.0 interface. The drives are equipped with an 8 MB cache memory. Initial shipments to OEMs are scheduled from mid-July with a MSRP at $199.